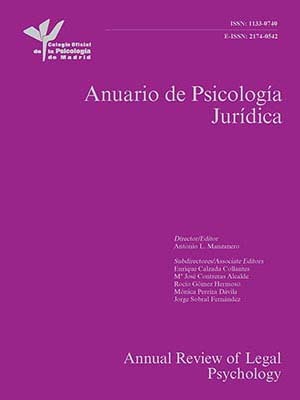 El objeto de esta investigación ha sido analizar el papel de la fatiga, la depresión y los rasgos de personalidaden varones con y sin esclerosis múltiple (EM), así como investigar la influencia de la edad y los años deeducación en tales constructos. Participaron 30 varones con EM y otros 30 sin ella, elegidos en la ciudad deShiraz, Irán, de acuerdo a un método de muestreo. Se aplicó la Escala de Gravedad de la Fatiga (FSS), el Inventariode Depresión de Beck (BDI), el Inventario de Personalidad NEO - Revisado (NEO-PI-R) y un cuestionariodemográfico. Los datos mostraron que los pacientes que tenían EM tenían significativamente mayorfatiga, depresión y neuroticismo en comparación con el grupo control. Los datos de los pacientes sin MSmostraban que tenían mayor nivel de extraversión, apertura a la experiencia, afabilidad y responsabilidaden comparación con los pacientes que tenían EM. 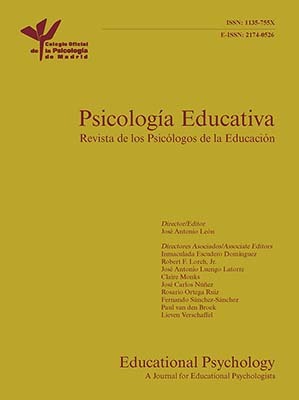 No hubo efecto significativo de la edad y el número deaños de educación en la fatiga, la depresión o los cinco grandes rasgos de personalidad. The purpose of this research was to examine the role of fatigue, depression, and personality traits in maleswith and without multiple sclerosis (MS) and to investigate the influence of age and the numbers of yearsof education on these constructs. Participants were 30 males with MS and 30 males without MS fromShiraz City, Iran, who were selected following a sampling method. The Fatigue Severity Scale (FSS), the BeckDepression Inventory (BDI), the NEO Personality Inventory-Revised (NEO PI-R), and a demographicquestionnaire were applied. Resulting data showed that patients with MS had significantly higher fatigue,depression, and neuroticism compared to control group. Resulting data showed that patients without MShad higher levels of extraversion, openness to experience, agreeableness and conscientiousness comparedwith patients with MS. There was no significant effect for age and the numbers of years of education onfatigue and depression, nor on the Big Five personality traits. Multiple Sclerosis ( MS) is an idiopathic inflammatory disease that affects approximately about 2.5 million people in the world. The MS prevalence rate was 35.5/100 000 in Iran ( Etemadifar, Janghorbani, Shaygannejad, & Ashtari, 2006 ). The female to male ratio of MS was 2.18. Between 2006 and 2009, the incidence rates increased 2.4 and times in women and men, respectively ( Moghtadri, Rakhshanizadeh, & Shahraki-Ibrahimi, 2012 ). Common symptoms in MS include: optic and emotional disturbances, loss of balance and coordination, spasticity, sensory disturbances, bladder and bowel incontinence, pain, weakness, and fatigue ( Goldenberg, 2012; Sherwood, 2001 ). The immune system attacks the myelin sheath surrounding myelinated nerve fibers that results in scar tissue, which gives the disorder the name “sclerosis” ( Sherwood, 2001). Initially, the stress coping model was used to explain how MS could increase the risk of mental disorders and personality changes ( Lazarus & Folkman, 1984; Pakenham, 1999 ). The stress coping model suggests that negative outcomes of harmful appraisals are only evident at higher levels of stress. The application of effective coping styles toward threats may reduce some negative effects of harmful appraisals in most situations ( Finney, Mitchell, Cronkite, & Moos, 1984 ). Two major etiological suppositions were behind the susceptibility to this disease and its exacerbations: a genetic predisposition and, on the other hand, environmental risk factors ( Ackerman et al., 2002; Haines et al., 2003; Goldenberg, 2012 ). MS has some comorbidity with psychological disorders like conversion and mood disorders and, taken together, may cause cognitive impairment in about 45-65% of patients ( American Psychiatric Association, 2004; Bobholz & Rao, 2003; Prakash, Snook, Lewis, Motl, & Kramer, 2008 ). When reviewing literature about this subject, it can be concluded that there is substantial variability in psychological symptoms such as fatigue and depression among patients with MS. It is known that between 76% and 97% of patients with MS complain of fatigue; this symptom has a significant impact on their quality of life and the ability to carry out their daily routine ( Groth, 2011; Metz, 1998; Mollao?lu & Üstün, 2009; Schwartz, Coulthard-Morris, & Zeng, 1996 ). Many studies showed a higher rate of depression symptoms in patients with MS compared to healthy individuals ( Fitzgerald, Cooper, Boninger, & Rentschler, 2001; Fruehwald, Loeffler-Stastka, Eher, Saletu, & Baumhackle, 2001; Merkelback, Sittinger, & Koenig, 2002 ). Patients with MS have higher levels of depression and mood distress when they are coping with significant issues in their life ( Arnett, Barwick, & Beeney, 2008; Fruehwald et al., 2001; Kang, Chen, & Lin, 2010; Patten; 2009; Schiffer, 2009; Siegert & Abernethy, 2005 ). There is a significant correlation between the lesion load/location of MS and the severity of depression (Feinstein, Roy, Lobaugh, O’Conner, & Black, 2004). Also, research indicated that Beck Depression Inventory (BDI) was positively related with total lesion volume, lesion volume in multiple discrete areas, and neuropsychological functioning in patients with MS ( Wallin, Wilken, Turner, Williams, & Kane, 2006 ). Personality reflects the pattern of thoughts, feelings, and actions that are relatively stable over the time and across the situations ( McCrae & Costa, 1990 ). These authors conceptualized a personality model with five dimensions that include: neuroticism, extraversion, openness, agreeableness, and conscientiousness. This Big Five model of personality has been applied in order to establish the role of personality traits in healthy and abnormal populations ( Costa, Somerfield, & McCrae, 1996 ). For example, it is known that higher levels of neuroticism are associated with maladaptive coping strategies in patients with psychological disorders or physical diseases ( Penley & Tomaka, 2002; Taillefer, Kirmayer, Robbins, & Lasry, 2003 ), while extraversion has been associated with higher problem-focused coping which is also related to positive adjustment in general ( Watson & Hubbard, 1996). Pakenham (1999) indicated that Big Five perspective of personality might help to understand personality changes in patients with MS. The Big Five model suggests that the greater the use of severe emotions and emotion-focused coping style in patients with MS, the more increases the risk of mental disorders and disease-related changes in personality ( Benedict et al., 2009; Pakenham, 1999 ). Patients with MS have higher neuroticism levels and, on the other hand, they have lower levels of empathy, agreeableness, and conscientiousness in comparison to healthy individuals ( Benedict, Priore, Miller, Munschauer, & Jacobs, 2001 ). Additionally, several studies indicate that there is a relationship between personality changes and the affective and cognitive impairments in patients with MS ( Benedict et al., 2001; Finger, 1998 ). So, quality of life in patients with MS is influenced by their mental health and the disease-related changes in personality traits ( Joy & Johnston, 2001). The stress coping theory and the Big Five perspective of personality traits suggest that the MS has a major negative impact on mental health and personality. The use of rational thoughts, prosocial behaviors, and problem-focused coping style in patients with MS is associated with a better social adjustment ( Lazarus & Folkman, 1984; Pakenham, 1999 ). According to the stress coping theory and the Big Five model of personality and contextual and relational theories in men's health ( Addis & Mahalik, 2003; Courtenay, 2000; Lazarus & Folkman, 1984; McCrae & Costa, 1990 ), it seems that chronic physical diseases may influence both mental health and personality in patients with MS. In addition, Benedict et al. (2009) suggest that the Big Five perspective is a good theory for investigating disease-related personality changes in patients with MS. Men probably cope more negatively with MS due to their impaired coping and appraisals in such situation may increase their fatigue, their depression levels, and also may increase changes in their personality. MS may influence fatigue and depression levels because of their limited social resources, the increment of psychosocial stressors, and the application of an emotional coping style. MS may alter men's personality dimensions in different ways. It seems that men with MS have higher neuroticism levels and lower extraversion levels because they are more involved with negative patterns of emotionality and have a lack of social support and poor social engagement. Therefore, some men with MS might adapt themselves quickly to the new life, whereas others are trapped in the stage of disbelief and continue being highly fatigued and depressed for a long time after the diagnosis; and this chronic psychic distress may result in an adverse personality change. Fatigue, depression, and personality changes might be a result of MS disease process itself. Also, both contextual and relational theories predict that men's health issues may be influenced by their age and educational status ( Addis & Mahalik, 2003; Courtenay, 2000 ). Age and educational level may influence fatigue, depression and personality traits in men with MS. However, there are no direct studies about the role of age and education status in fatigue, depression, and personality among patients with MS. According to both contextual and relational theories in health-related issues, males are more vulnerable to suffering many diseases and risky behaviors than females because they adopt beliefs and behaviors that increase their risk and are less likely to engage in behaviors that are linked with a good health ( Addis & Mahalik, 2003; Courtenay, 2000 ). These theories explain the role of gender in men's health from socialization and social constructionist perspectives. So, men's health-related issues such as other social roles are examples of demonstrating how masculine they are in general. These theories predict that men's health behaviors will be used in daily interactions in the social structuring of gender and power. 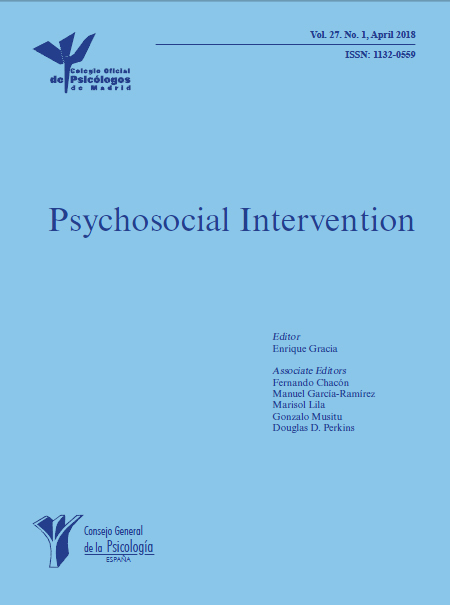 Also, both contextual and relational theories suggest that social issues in men's health are often markers of masculinity and instruments which men use in the negotiation of social power and status. These theories explain how some cultural factors such as ethnicity, economic status, and educational level may influence the kind of masculinity that men construct and, taken together, may contribute to health issues differences in different cultures. Similarly, Gavin, and George (2007) showed that MS is influenced by the environment at a macro-environmental level. Men tend to take a passive role in maintaining their health in this culture, being this pattern particularly common in males with low social status. Alternatively, the incidence of disease in men may be the result of the social disadvantaged environment and the unequal social justice for health services in the culture they live. So, gender seems to play a major role in development, progression, and treatment of MS, and is therefore an aspect that should always be considered in the design and interpretation of research and clinical trials for MS ( Greer, & McCombe, 2011). Since there is a lack of evidence about the study of fatigue, depression, and personality traits based on the roles of age and the number of years of education, particularly in Iran, the present investigation explore how MS may influence these constructs. The purpose of this research is to analyze if there are differences in fatigue, depression, and personality traits among men with and without MS in an Iranian sample. According to the stress coping model, genetic predisposition, and environmental risk factors, this study suggests that MS may influence fatigue, depression, and personality dimensions in Iranian males with MS. In line with contextual and relational theories and related to this study, it is hypothesized that Iranian men are encouraged to work hardly, to be tough and independent, to see a doctor only for severe health issues, and to believe that visiting doctors or complaining about feeling disease and illness are threats to their masculinity. Also, these attitudes toward health-related issues in men are influenced by several sociocultural factors such as age and educational level. So, it is hypothesized that men with MS are likely to experience higher fatigue, depression, and personality changes compared to members of the control group. It is speculated that age and the number of years of education will have a significant impact on fatigue, depression, and personality among this sample of men with and without MS. The sample consisted of 60 males (30 patients with MS and 30 healthy individuals) from Shiraz City, Fars province, Iran. The age mean and standard deviation for patients with MS and healthy individuals were 27.95 ( SD = 2.43) and 27.68 (SD = 2.37) respectively. The number of years of education in this sample was five ( N = 7), nine (N = 7), twelve (N = 17), and sixteen (N = 26) in individuals with and without MS. All participants were Fars ethnic and Muslims. All cases in the clinical group had the disease at least for two years and a maximum of 7 years. However, there were two patients with visual and severe cognitive impairment in the clinical group. The demographic questionnaire included participants’ status, age, gender, and educational level questions. Three inventories were applied: (1) the Fatigue Severity Scale (FSS), (2) the Beck Depression Inventory (BDI), and (3) the NEO Personality Inventory-Revised (NEO PI-R). The Fatigue Severity Scale (FSS; Krupp, LaRocca, Muir-Nash, & Steinberg, 1989 ). The FSS was originally developed for use among individuals with MS. The FSS is a 9-item scale that captures the individual's experience of mental or psychological fatigue and how it interferes with performing certain activities including exercise, work, and family life. The FSS is a method of evaluating fatigue in multiple sclerosis and other conditions, including Chronic Fatigue Immune Dysfunction Syndrome (CFIDS) and Systemic Lupus Erythmatosis (SLE). The FSS is designed to differentiate fatigue from clinical depression, since both share some of the symptoms. The subject is asked to read each statement and circle a number from 1 to 7, depending on how appropriate they felt the statement applied to them over the preceding week. A low value indicates that the statement is not very appropriate whereas a high value indicates agreement. Essentially, the FSS consists of answering a short questionnaire that requires the participant to rate his or her own level of fatigue. The mean and standard deviation of the FSS total score were 4.66 and 1.64 in patients with MS, and its scores did not correlate with gender, age, and education. Item analysis of the FSS showed an excellent internal consistency and reliability (? = .93). Test-retest reliability and validity of FSS was affirmed over time in healthy and clinical populations ( Anton, Miller, & Townson, 2008; Hammell, Miller, Forwel, Forman, & Jacobsen, 2008; Valko, Bassetti, Bloch, Held, & Baumann, 2008 ). Also, the reliability and validity of the FSS has been affirmed in Iranian culture ( Ghajarzadeh, Jalilian, Eskandari, Saharian, & Azimi, 2012 ). The FSS reliability using Cronbach's alpha internal consistency in the present study was .93. Beck Depression Inventory (BDI; Beck, Ward, Mendelson, Mock, & Erbaugh, 1961 ). The BDI is a 21-question multiple-choice self-report inventory which purports to measure presence and degree of depression. The BDI measures the severity and depth of depression symptoms in patients with clinical depression. When the test is scored, a value of 0 to 3 is assigned for each answer and then the total score is compared to a key to determine depression's severity. Internal consistency studies demonstrated a correlation of .86 for the test, and a Spearman-Brown of .93. One study addressing the concurrent validity demonstrated a correlation of .77 between the BDI and psychiatric rating using university students as subjects. Beck reports similar studies in which coefficients of .65 and .67 were obtained when comparing results of the BDI with psychiatric ratings of patients ( Beck et al., 1961; Beck & Steer, 1984; Craven, Rodin, & Littlefield, 1988; Sharp & Lipsky, 2002 ). The reliability and validity of the BDI has been affirmed in Iranian culture ( Ghassemzadeh, Mojtabae, Karamghadiri, & Ebrahimkhani, 2005 ). The BDI reliability using Cronbach's alpha internal consistency in this study was .96. The NEO Personality Inventory-Revised (NEO PI-R; Costa & McCrae, 1992 ). The NEO PI-R is a highly-regarded assessment of personality. Based on the Five-Factor model, the NEO PI-R measures the interpersonal, motivational, emotional, and attitudinal styles of adults and adolescents. The NEO PI-R consists of 240 personality items and three validity items. The NEO PI-R was designed to provide a general description of normal personality relevant to clinical situations. The NEO PI-R items were designed to be easily read and understood. The five domains measured by the NEO PI-R provide a general description of personality, while the facet scales allow more detailed analysis. These five factors include: Neuroticism, Extraversion , Openness to Experience, Agreeableness and Conscientiousness . The NEO PI-R internal consistency coefficients range from .86 to .95 for domain scales. Stability coefficients ranging from .51 to .83 have been found in three-year, six-year, and seven-year longitudinal studies of the original NEO-PI factors. The NEO PI-R has been validated against other personality inventories and projective techniques. The test-retest reliability reported in the manual of the NEO PI-R over 6 years was: N = .83, E = .82, O = .83, A = .63, C = .79 ( Costa & McCrae, 1992 ). The reliability and validity of the NEO-PI-R have been affirmed by several studies in Iranian samples ( Khodarahimi & Rezaye, 2012 ). The reliability of the NEO PI-R subscales using Cronbach's alpha internal consistency in this study was: N = .92, E = .87, O = .86, A = .90, C = .88. The study is a casual comparative or quasi-experimental design with two groups ( White & Sabarwal, 2014 ). In the present study participants are individuals who are similar in some respects (i.e., age, ethnicity, religion, and the number of years of education) but they only differ in their health status (i.e., multiple sclerosis). So, this study design is suitable for exploration of unbiased possible differences across two independent samples, as the sample is selected by a purposive and matching method. According to Wilson VanVoorhis and Morgan (2007) , this sample size is sufficient for computing the statistical inferences and comparisons between clinical and control groups. All patients with MS in clinical group were recruited from several outpatient clinics. This clinical group was selected applying the purposive sampling method within a quasi-experimental design. The purposive sampling starts with an aim in mind and the sample is thus selected to include people of interest and exclude those who do not suit the purpose ( Palys, 2008; Tongco, 2007 ). Healthy individuals were screened for both neurological and psychiatric disorders diagnostic criteria by two neurologists and a two clinical psychologists and, after their approval, they were recruited for this study. After reading the informed consent form, all participants had the opportunity to ask any questions about the study before signing the informed consent. If the participant was visually impaired and unable to read the form, the study staff read the form aloud. For severely cognitively impaired individuals, consent was obtained from a family member according to the state policies. After informed consent was acquired, a demographic questionnaire and three inventories (described previously) were completed by the participants. Table 1 presents means and standard deviations for each group in all the variables analyzed. To verify the first hypothesis, seven t -tests for independent samples were computed to compare means of clinical and control groups in all constructs. Findings indicated that, compared to individuals without MS, patients with MS have higher fatigue, t(58) = -22.94, p < .0001; depression, t(28) = -19.61, p < .0001; and neuroticism, t(28) = -11.12, p < .0001. Moreover, individuals without MS have higher extraversion, t(58) = 20.78, p < .0001; openness to experience, t(58) = 29.82, p < .0001; agreeableness, t(58) = 7.68, p < .0001; and conscientiousness levels, t(28) = 9.01, p < .0001, compared to patients with MS. The Comparison of Fatigue, Depression and Personality in Clinical and Control Groups. Note . FSS = Fatigue Severity Scale, BDI = Beck Depression Inventory, NEO-PI-R = NEO Personality Inventory-Revised. In the second hypothesis, to examine the possible differences among men with and without MS based on the role of the number of years of education and age and their interactions, a multivariate analysis of variance (MANOVA) was conducted by participants’ status, age, and educational level as independents variables, and fatigue, depression, and Big-five personality dimensions as dependent variables. An overall multivariate effect was found for participants status, Wilks’ k = .014, F(7, 44) = 4.41, p = .0001; age, Wilks’ k = .689, F (14, 88) = 1.244, p < .239; number of years of education, Wilks’ k = .837, F(7, 44) = 1.22, p < .710; and their interactions, Wilks’ k = .898, F (7, 44) = .726, p < .651, which reject the effects of age and the number of years of education on dependent variables. The results of this study for the first hypothesis demonstrate that patients with MS had more fatigue, depression, and neuroticism levels than members of the control group. On the other hand, members of the control group had higher scores on extraversion, openness to experience, agreeableness, and conscientiousness personality domains than patients with MS. A greater rate of fatigue and depression was found in patients with MS. Actually, men with MS had more fatigue and depression than healthy men in this study. These results are consistent with previous literature ( Arnett et al., 2008; Groth, 2011; Kang et al., 2010 ). As Feinstein, Roy, Lobaugh, O’Conner, & Black (2004) noted, this study suggests that depression levels in patients with MS may be higher as a result of the MS disease. There is no clear evidence about the specific neurobiological and neuroimmunological nature of depression in patients with MS ( Siegert & Abernethy, 2005 ), a fact that seems to be right for the case of fatigue in this study. As other studies indicated, higher fatigue and depression levels in patients with MS might be associated with their limitations in social and interpersonal relationships, which are the result of the chronic disease over time ( Clayton, Rogers, & Stuifbergen, 1999 ). Also, these findings supported the presence of comorbidity hypothesis in patients with MS. Therefore, both fatigue and depression can be considered as a human response to the MS as a chronic neurological disease. Also, this explanation is in line with earlier literature in the field of psychopathology (APA, 2004). Alternatively, it seems that the presence of low energy levels, chronic pain, and physical problems in patients with MS may produce many cognitive distortions and behavioral dysfunctions such as hopelessness, pessimistic points of views, and more emotional focused coping styles, and all they increase the risk of fatigue and depression in men with MS. This explanation is also congruent with the assumptions of the stress and coping model in psychopathology and health psychology ( Lazarus & Folkman, 1984; Pakenham, 1999 ). This study showed that MS lowers men's performance in the field of social power and positive masculine roles, and it may increase their risk for some negative mood changes ( Addis & Mahalik, 2003; Courtenay, 2000 ). Also, these findings may be explained in the light of a cognitive behavior model that highlights the role of MS in fatigue and depression ( Van Kessel & Moss-Morris, 2006; Van Kessel et al., 2008 ). Research in this field showed that the CBT might reduce the rate of fatigue and depression in patients with MS by correction of their cognitive distortions and behavioral styles ( Van Kessel & Moss-Morris, 2006; Van Kessel et al., 2008 ). Therefore, our findings are congruent with predictions of cognitive behavior therapy (CBT). Results suggest that a few neurological factors trigger the onset of fatigue in MS, and the fatigue perpetuates after the disease progress but the rate of fatigue in patients depends on how they response to the disease from cognitive, emotional, and behavioral perspectives. 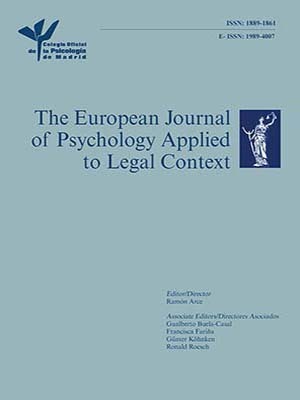 Similarly, stress coping, contextual, and relational theories on men's health ( Addis & Mahalik, 2003; Courtenay, 2000; Lazarus & Folkman, 1984 ) explain that disease-related issues may produce negative emotional coping styles, lower social power, and cognitive distortions such as hopelessness and pessimism. For psychosocial reasons such as social stigma, limitations of interpersonal and behavioral repertoire, and emergence of cognitive distortions due to a chronic neurological disease, the present study suggests that men with MS had higher fatigue and depression than individuals without MS. These results bring a significant contribution to the literature of health psychology in multiple sclerosis. Clinicians and patients with MS should be aware of the regular screening of fatigue and depression in order to decrease depression risk and increase hope of life in order to manage MS. In the field of personality, results from this study showed that patients with MS had significantly higher scores on neuroticism than participants of the control group and, on the other hand, this group had higher scores in the following domains of personality: extraversion, openness to experience, agreeableness, and conscientiousness. In line with previous literature, the role of MS in the neuroticism domain of personality was supported in this study ( Penley & Tomaka, 2002; Taillefer, Kirmayer, Robbins, & Lasry, 2003 ). 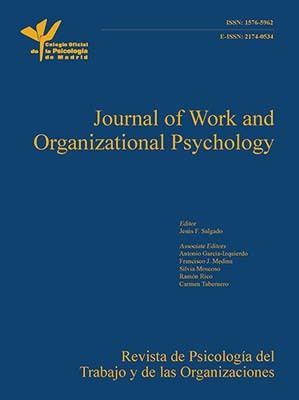 Similarly, higher scores of members in the control group in domains of personality, including extraversion, openness to experience, agreeableness, and conscientiousness are consistent with the predictions of both stress coping and Big Five theories ( Finney, Mitchell, Cronkite, & Moos, 1984; McCrae & Costa, 1990; Watson & Hubbard, 1996 ). The stress and coping theory predicted that negative outcomes of harmful appraisals and coping in patients with the chronic disease such as MS may produce high levels of long-lasting distress, and in turn change the dimensions of their personality ( Finney, Mitchell, Cronkite, & Moos, 1984 ). The Big Five perspective suggests that healthy individuals without chronic and disabling stressors have higher scores on extraversion and openness to experience ( McCrae & Costa, 1990; Watson & Hubbard, 1996 ). Finally, the present findings about the role of MS in personality changes are consistent with the predictions of stress coping, contextual, and relational theories in men's health ( Addis & Mahalik, 2003; Courtenay, 2000; Lazarus & Folkman, 1984 ). Obviously, men with MS have greater social inhibitions and social stigma, and lower masculine roles than males without MS. These social factors may decrease men's scores on positive domains of personality, and thereby they might have more neuroticism in social and familial contexts. In addition, Pakenham (1999) suggested that MS influences both cognitive appraisals and social support in a negative way. So, this study suggests that personality traits like neuroticism in patients with MS are influenced by these psychological factors. This study suggests that neuroticism has a negative interaction that may affect global behaviors in patients with MS. Therefore, stress coping and the Big Five perspective are beneficial for explaining personality dysfunctions in patients with MS. However, the primary role of the MS in depression, fatigue, and personality changes may be also attributed to neurological factors such as cortical atrophy and the lesions in frontal lobe that need future investigation ( Benedict et al., 2008 ). Altogether, the differences observed in Big Five traits were not the result of a bias by selection method in this study since individuals in both clinical and control groups were matched based on their religion, ethnicity, age, and the number of years of education. This study suggests that men in the healthy group were more extraverted than MS men because of their having more resources and abilities for social interactions, whereas patients with MS have more physical and social limitations and stigmas, and thereby they get in more neuroticism compared to men without the same disease. So, this study speculates that personality dimensions may be influenced differently by a chronic disease such as multiple sclerosis and general health in men. Finally, and related to the second hypothesis, it was only found a significant overall multivariate effect of participants’ status. The role of age and the number of years of education in fatigue, depression, and Big Five personality traits was rejected. These findings about a non-significant role of age and the numbers of years of education in men's response to the disease are incongruent to the predictions of relational theories in health-related issues ( Addis & Mahalik, 2003; Courtenay, 2000 ). One plausible explanation for these findings is related to men's attitudes towards health problems in general. This study suggests that men do not show proper interest in quality of life and general health issues in this culture beyond the role of their age and the number of years of education because they are substantially involved in work and the fulfillment of their family needs. Also, men in this culture have many social stigmas about health-related issues because they believe that men who are concerned with health topics have a feminine style rather than a masculine one. Therefore, it seems that age and the number of years of education could not easily change men's stigmas about the disease-related issues in Iran. However, further cross-cultural research is required to explore the role of cultural factors in men's responses to the disease in this society. In conclusion, the current research adds to literature of health psychology several findings related to the role of fatigue, depression, and Big Five personality traits in men with MS. Also, this study rejected the role of both age and the number of years of education in fatigue, depression, and personality. Furthermore, the results of the current study show the influence of MS as a chronic neurological disease on men's mental health and personality. This study has a major contribution to health psychology because it shows how stress and perceptions of self and disease may influence depression, fatigue, and personality in men with MS. Essentially, these changes can be attributed to neurological factors but they may be influenced by a few psychosocial factors in the course of the disease. This study shows that personality dimensions are of significant importance for addressing behaviors in patients with MS. Obviously, these results are valuable and insightful for clinicians who want to provide therapeutic services to men with multiple sclerosis. Also, these results are beneficial for the systematic psychological interventions in patients with MS, particularly for their psychological assessment and tailoring the suitable psychotherapeutic program for them. However, the present study is limited because of the sample size and the fact that it only relies on self-reported measures among men. In addition, this study is limited because only the NEO PI-R and the BDI were applied for assessment of personality and depression in patients with MS. Anyway, it seems that manifestations of depression or personality due to multiple sclerosis might vary among men in different cultures. Further studies should apply experimental and longitudinal designs with different theoretical conceptualizations for this purpose, and investigate the role of MS by using both quantitative and qualitative measures in men and women from different cohorts and cross cultural samples. Groth, R. S. (2011). 15 Ways to fight against multiple sclerosis fatigue . Retrieved from h t t p & # 5 8 ; & # 4 7 ; & # 4 7 ; e z i n e a r t i c l e s & # 4 6 ; c o m & # 4 7 ; & #63;15-Ways-to-Fight-Against-Multiple-Sclerosis-Fatigue&id=2258973. Is there a differential impact of fatigue and physical disability on quality of life in multiple sclerosis? Moghtadri, A., Rakhshanizadeh, F., & Shahraki-Ibrahimi, S. (2012). Incidence and prevalence of multiple sclerosis in southeastern Iran. Clinical Neurology & Neurosurgery, 115, 304-308. Published online 20 June 2012. Retrieved http://www. c l i n e u - journal.com/article/S0303-8467(12)00305-8/Abstract. Palys, T. (2008). Purposive sampling. In: L.M. Given (Ed. ), The Sage encyclopedia of qualitative research methods (Vol. 2, pp. 697-698). Sage: Thousand Oaks, CA. Depression and multiple sclerosis: An immunomodulatory connection? Sherwood, L. (2001). Electrical signals: graded potentials and action potentials. In: Human Physiology (4th ed.). Belmont, CA: Thomson/Brooks-Cole. White, H., & Sabarwal, S. (2014). Quasi-experimental design and methods . Methodological Briefs: Impact Evaluation 8. Florence: UNICEF Office of Research.